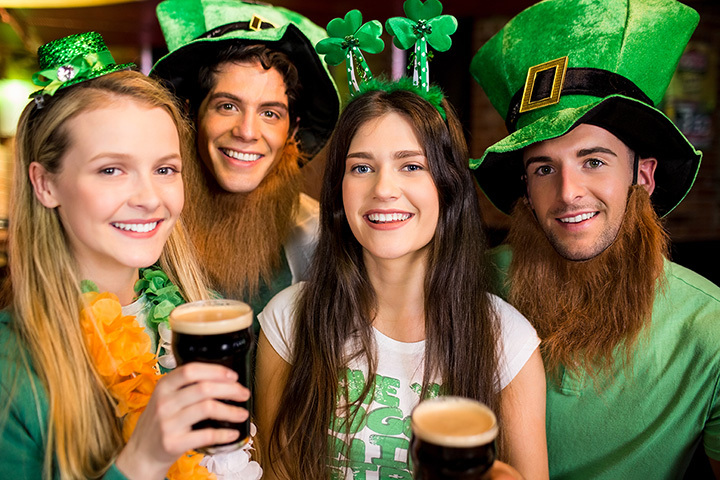 Enjoy the luck of the Irish, drink a Guinness, tap your toes to some Irish music, and spend time hopping from one fun event to the next. It’s St. Patrick’s Day in Maryland and that means plenty to do and a lot of fun. Here is our list of the best places to party this March. If you are Irish, or love the Irish way, you can’t miss Baltimore’s beloved St. Patrick Parade where thousands gather every year to march, sing, dance, and watch the action. It’s lively, slightly crazy and a ton of fun. When you’re done, go top it off with a pint of Guinness for the perfect Irish afternoon. With festivities lasting all week long, you can pick the day that you come to Annapolis and still celebrate in Baltimore or closer to home on actual St. Patrick Day. Events are held all throughout downtown Annapolis where you are sure to catch some incredible Irish bands before heading to Galway Bay for some tasty Irish grub. Head to Federal Hill for this annual pub crawl where you can drink and eat your way through the area’s most popular haunts. In true Irish style, prepare for some malarkey along the way! All month long you can watch Irish dancers perform or participate in fun Irish themed activities and dinners so that your celebration doesn’t have to stop the day after St. Patty’s Day. Slainte Irish Pub is a Fells Point classic and one you can enjoy year-round. They open early on St. Patty’s Day so that you can come immediately after the parade. With live entertainment, good food, reasonable drink prices and an awesome location – James Joyce is so packed that they set up outdoor tents every year to accommodate the overflow of Irish-loving patrons. People come from all over Maryland to spend a few days at the beach and watch the parade. Full of floats, bands, and entertainment, it’s one that everyone should watch at least once. Prices are cheaper this time of year so taking a few days off to enjoy Ocean City’s Parade and other Irish activities is fairly reasonable. You can have sophisticated fun on St. Patrick’s Day by heading to the lovely Perigeaux Winery. Still a lot of fun and Irish themed, this is an excellent way to celebrate away from the crowds with a more mature crowd. So, it’s not an Irish pub – it’s British. Still, Union Jacks knows how to put on a party and will have live music for days with drink specials, activities and a ton of people ready to celebrate being Irish. 9. Shamrock Fest, Washington D.C.
You have to cross the state line but our list would be incomplete without Shamrock Fest, the largest Celtic festival in the Mid-Atlantic. Bands play non-stop on several stages and come from all over the country to do so. Irish dancers, food, beer, and non-stop entertainment make Shamrock Fest the best place to party. A family favorite, the Eastport Democratic Club puts on this annual event where you can participate in kids’ races, a keg toss, best dressed pooch competition, adults’ races, crack up during beer races, and listen to live music right outside of Downtown Annapolis. You know that Power Plant Live! is a great place to party. If you can score tickets to the live band do it. If not, bar hop, play corn hole, dance, and listen to the bands that will be playing in the courtyard. This is a year-round favorite that gets even more lively on St. Paddy’s Day. Be sure to check the calendar of events at your local library. Most will have at least one St. Paddy’s Day event such as a special book reading, craft or story time. An excellent way to acquaint your kids with the library system, these events are held every year. These kids will take your breath away with their incredible skill and marvelous Irish dance performances. The month of March is an excellent time to watch one of their performances and you will instantly be swept up in the spirit of Ireland when watching the Teelin Irish Dance Company. It would take a long time to list all of Baltimore’s pub crawls since St. Paddy’s Day brings more than a few to the area. There’s nothing quite like spending the day bouncing from pub to pub with your buddies.